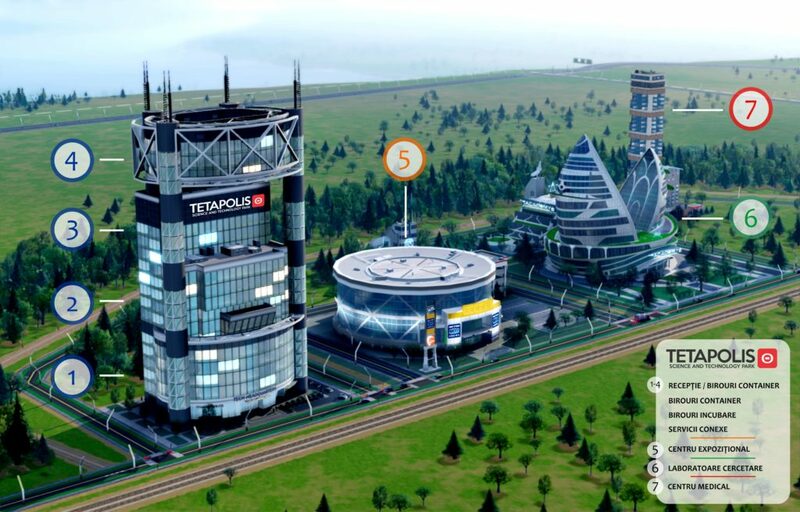 A community within itself, TETAPOLIS STP will offer much more than just R&D offices and laboratories. 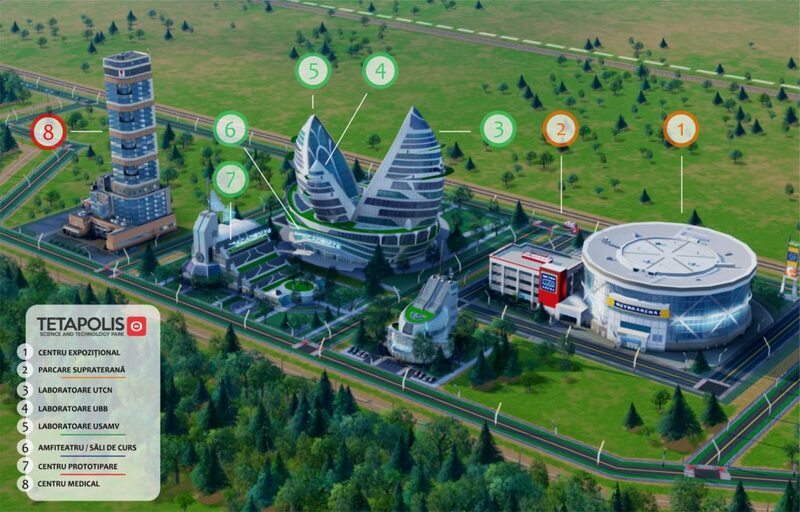 TETAPOLIS Science Park is located at the heart of TETAROM Industrial Park spawning a 10 -hectare ecosystem that will house some of the region’s most advanced laboratories and R&D offices as well as a seamless network of support spaces and business incubators. No matter your field of expertise or area of research – from robotics to renewable energy – TETAPOLIS Science Park is the ideal and one of the most coveted location in the region for tech startups and companies. In addition to the world-class infrastructure that will keep you connected at all times, the Park will also offer a full range of leisure and lifestyle facilities, including shops, restaurants and sports facilities; making TETAPOLIS STP a community within itself. TETAPOLIS STP currently comprises 3 state-of-the-art buildings. All our offices space, laboratories and MICE (Meetings, Incentives, Conferences and Exhibitions) venues are available for rental or on a project basis, and spaces can be tailored to meet your exact requirements. And this is only the first stage of the project. Conveniently located in Cluj-Napoca, accessible within 10 minutes by car and 15 minutes by public bus from town center, TETAPOLIS STP strives to create multitude of transportation options, so you can enjoy the best of both worlds – a world-class facility for your work, and a metropolis for you to explore. Electrical car recharging stations and company cars at special rates are just a few of the options TETAPOLIS STP will make available for its tenants. By driving the development of innovative and technologically advanced products and services, we can reshape the lives of everyday citizens, and make a difference for the future. Everything we do is focused on this one mission. On this journey towards our goal, we will foster the next generation of scientific talent, turn Cluj-Napoca into a center for technological innovation and enhance the city’s diversified economy. Work centers, incubators, R&D facilities and the development of three over-arching cross-disciplinary platforms (Smart City, Health and IT&C). To ensure that our partner companies in these fields reach their full potential, TETAPOLIS will not only offer state-of-the-art laboratories, R&D offices and complementary facilities, we also offer business support services in the areas of marketing, legal and investment matching. In terms of fostering talent, we collaborate with numerous partners, from universities to regional and overseas organizations, to give the next generation of scientists, engineers, entrepreneurs, and innovators the opportunities expand their horizons and bring their ideas to life. Our Acceleration and Incubation programs ensure that elite technology talent, from Cluj-Napoca and Romania, have the ideal environment to work in, so that they can help bring about the next technology revolution. 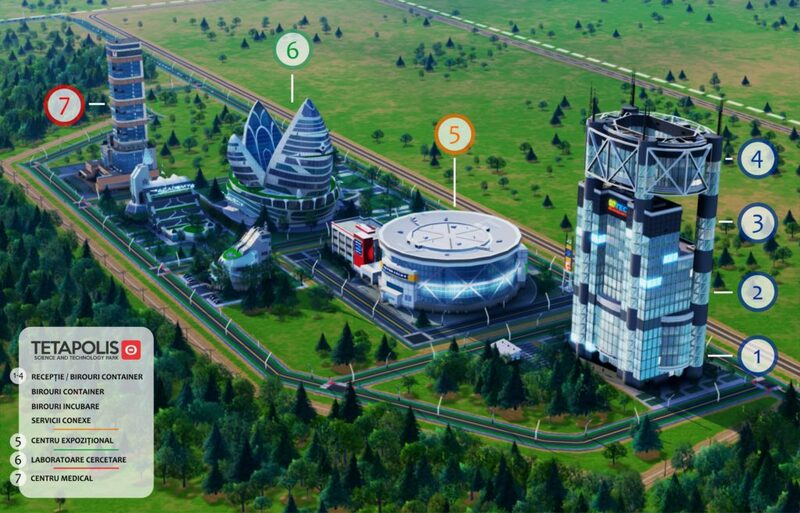 Most importantly, TETAPOLIS is here to serve the people of Cluj-Napoca and foster the innovative scientific talent and innovations that will take the city into its next stage of economic development.